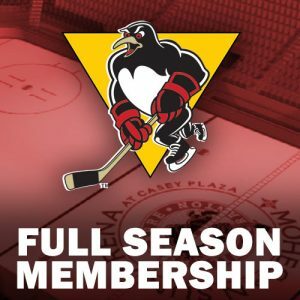 WILKES-BARRE, Pa. – Wilkes-Barre/Scranton Penguins training camp has been underway for a few days now, so you know what that means. Today was scrimmage day at the Toyota SportsPlex. 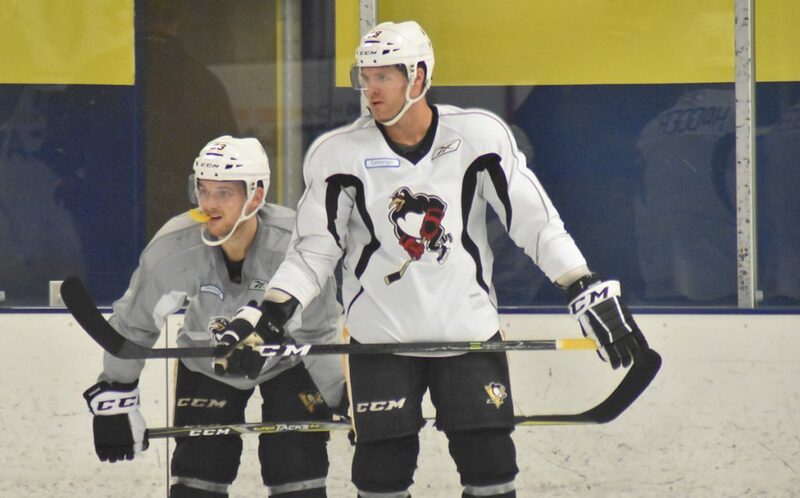 Both benches were full of players hoping to make the Penguins as they entered game simulation for the first time during came (new assistant coach Jarrod Skalde played the role of referee,) but one player on the team’s training camp roster was noticeably absent from the festivities. Ryan Haggerty was placed on waivers on Tuesday, and he couldn’t take the ice until after noon on Wednesday. Though he would have loved to have been out there with his teammates for the intrasquad exhibition, he’s not complaining. 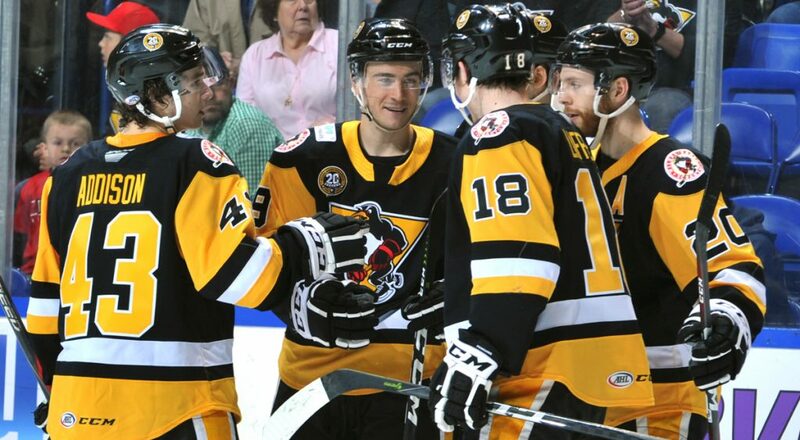 Haggerty came to Coal St. on Wednesday with a brand new NHL contract from Pittsburgh in his back pocket. Pittsburgh head coach Mike Sullivan had an excellent quote in a recent press conference when asked about evaluating his players based on “a body of work,” rather than just a good practice or two. While Haggerty didn’t make Pittsburgh’s team out of camp, his body of work clearly played a role in him earning this NHL contract. The Stamford, Connecticut native set career highs across the board with 16 goals, 21 assists and 37 points in an injury-shortened season. Pair those numbers with a shining showing in Pittsburgh’s preseason, and putting pen to paper on an NHL deal was more than justified. This is the second NHL contract of Haggerty’s career. The first came right after he left college in 2014, and he inked a deal with the New York Rangers. Haggerty may have locked down an NHL contract with his recent performance, but not everyone at Penguins training camp has that kind of job security. In fact, several players don’t even have AHL deals, but they still dream of reaching the NHL. Enter Yushiroh Hirano, one of few Japanese hockey players to try their trade outside of the archipelago. Hirano traveled all the way across the world for a tryout with the Wheeling Nailers, and now he finds himself in that position at Wilkes-Barre/Scranton’s camp. If he were to play for the Penguins in the regular season, he would become the second Japanese player in AHL history. He says that his dream is to one day reach hockey’s top league, the NHL, but he’s prepared to climb the rungs of the North American hockey ladder in the ECHL and AHL first. This is the same young man who at 20 years old, paid for his own travel just to tryout for the USHL’s Youngstown Phantoms with no guarantee of a roster spot. Not only did he make the team, but he grabbed a lot of attention by showcasing a pro-level shot that placed him second on the squad in goals. Now Hirano is turning heads with that skillset at Penguins camp. We’ll have more from Hirano during the first intermission of Thursday’s preseason broadcast on WILK Newsradio. 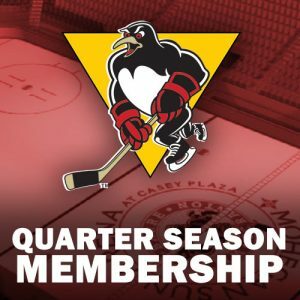 One storyline to watch throughout the Penguins’ three preseason games is the competition between Anthony Peters and John Muse for the presumed back-up role in Wilkes-Barre/Scranton. Both goalies have their advantages when it comes to having a leg up on the other (Muse has an NHL contract in tow, Peters has the established trust of the Pens’ coaching staff), so it will likely come down to performance between the pipes for Penguins brass to make a decision. Muse told reporters after practice on Wednesday that you can be a brick wall in practice, but it doesn’t mean a lick if you can’t come up with the big saves in a game. So he welcomes the opportunity to strut his stuff in the crease this upcoming weekend, as does Peters. The latter had some fantastic thoughts for Times Leader beat writer Tom Venesky, telling him he’s grown “comfortable with the uncomfortable” over a career that has seen countless of competitions for playing time like this one. 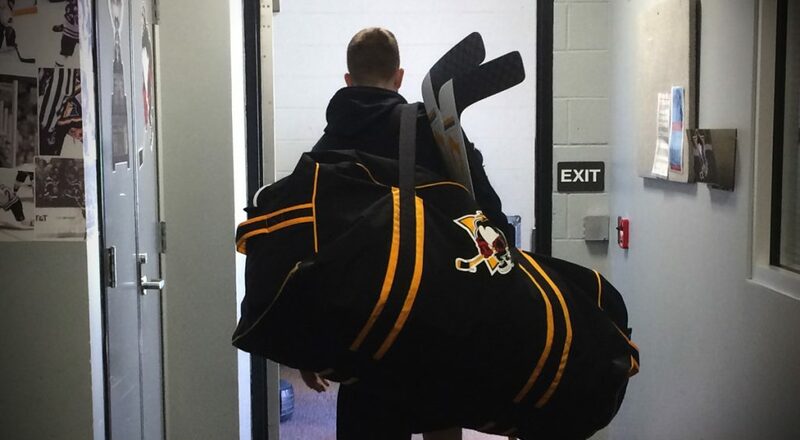 • Tim Erixon is back in black and gold. After spending last season with the Binghamton Devils and Springfield Thunderbirds, he signed a tryout with Wilkes-Barre/Scranton on Wednesday morning and took the ice for practice shortly thereafter. Erixon looked comfortable during the scrimmage, reminding you that it’s somewhat surprising that he’s gone this deep into the summer without a contract. 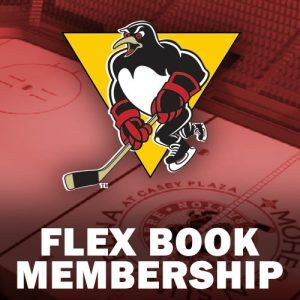 He also spent the past six weeks in Northeastern Pennsylvania staying in shape by skating and working out with Wilkes-Barre natives Pat McGrath and Craig Skudalski. • Tryout player Renārs Krastenbergs is a spark plug. Between the Prospects Challenge in Buffalo, New York and his work in today’s scrimmage, it’s easy to see why he caught the Penguins organization’s attention. 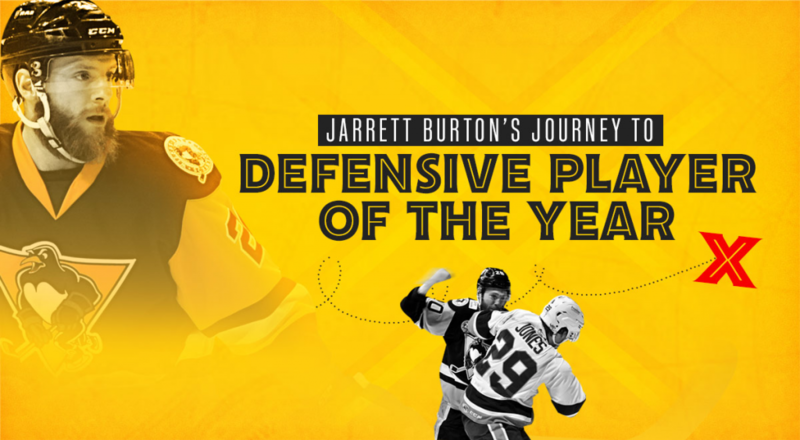 He’s always moving his feet, he’s very disruptive below the opposing goal line, and he backchecks like a demon. • Jimmy Hayes is big. • Adam Johnson is fast.